A traditional baked ham is usually saved for very special occasions like Easter or Christmas. 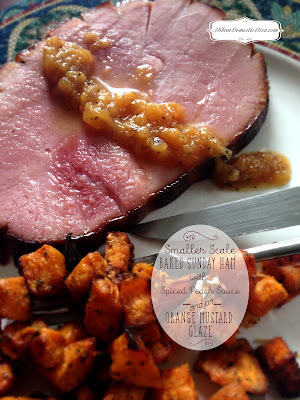 But I always wanted to try cooking some of the smaller ham roasts I see in the meat section of the grocery store. It seemed like a special thing to do for a family dinner on a Sunday. And even though these are usually 3-5 lb. 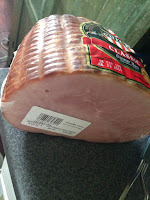 roasts, you will have some extra ham for the week to cut up in some scrambled eggs, on a salad or for sandwiches. So it's really economical too. If you have one of those treasured "lazy" Sundays, you can certainly fit this recipe into your day. 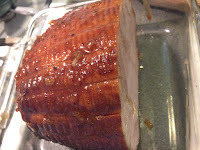 I made the glaze in the morning and did the poaching right after lunch. Then an hour or so before wanting to serve dinner, into the oven the ham went. 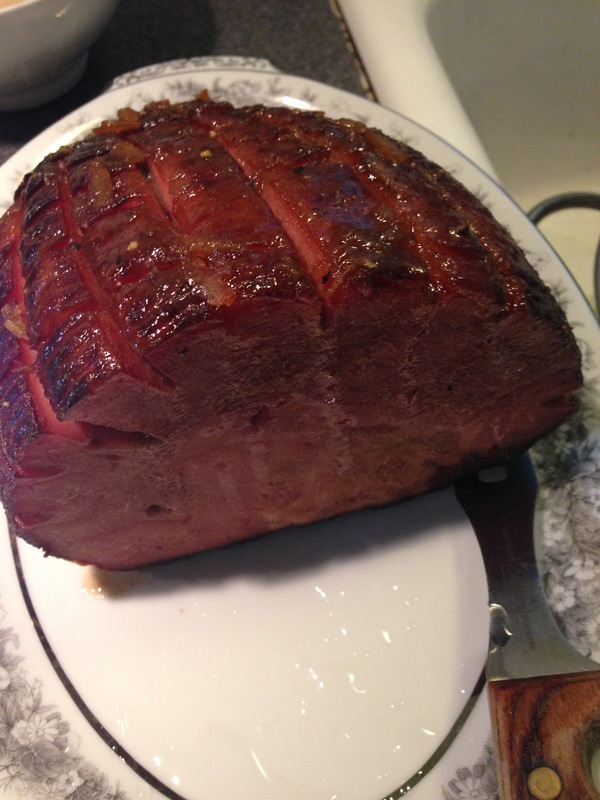 While the ham baked I made the sauce. None of it is labor intensive-it's just steps you take throughout the day and really your stove/oven does the rest! 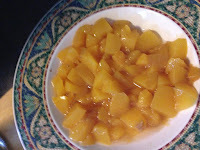 SO this is adapted from a recipe I have saved from an old Jacques Pepin cookbook my mom had, and I have carried around the transcription for almost 20 years. I always wanted to try this poaching technique that he suggests makes store bought hams immensely better. 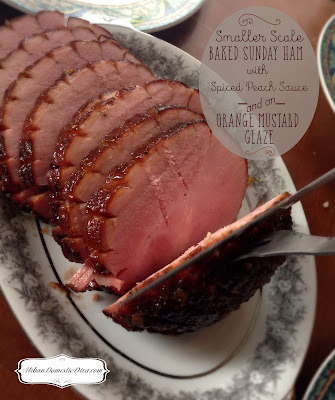 I have to admit I was skeptical when I pulled out the ham from the cooled water and glazed it. It looked dry to me. But in fact, what happens is quite the opposite. 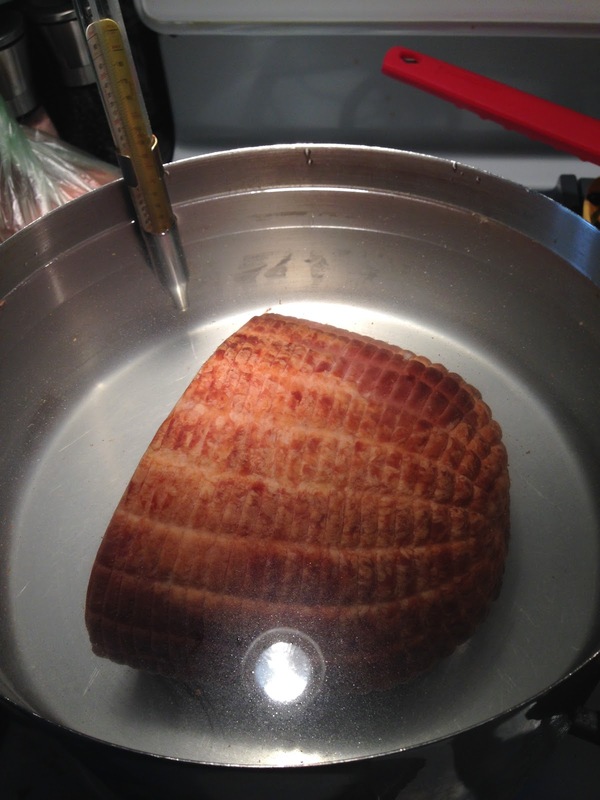 Poaching brings the salt and additives out of the ham and moisture pumped in. So when you bake it, it stays moist and tender. 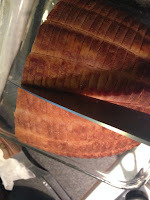 When my hubby began cutting it, the slices looked perfect and moist. Place the ham in a large stock pot with cold water covering it completely. 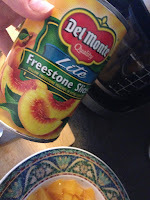 Use a thermometer hooked to the side of the pan (I used a candy thermometer). Heat the pot to just under a boil which equals to about 160-170˚. 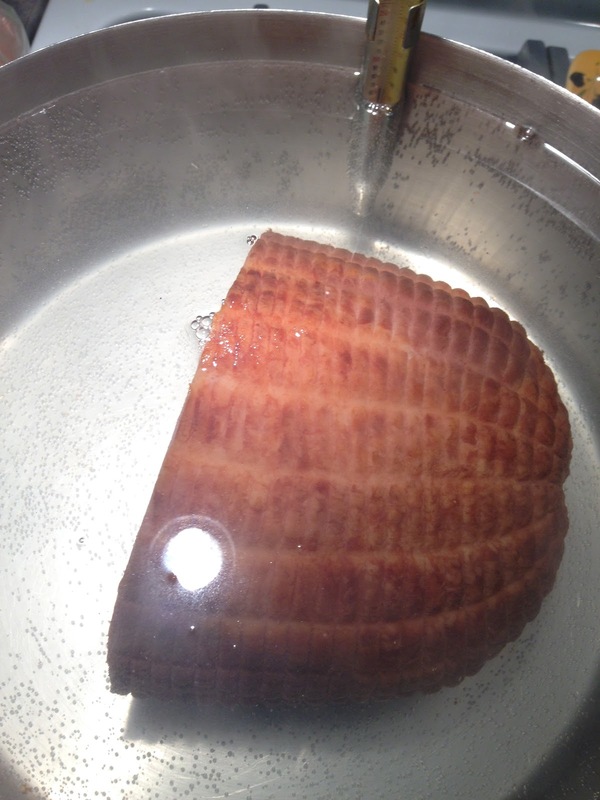 Once the water hots that temp, lower the temperature to keep the water at the temperature and poach the ham for 45 minutes. Check on it once in a while so that the temp stays the same, adjusting the flame as needed. After about 45 minutes, turn off the heat and move the pan to a cold burner Let the water and ham cool down together in the pot, which will take a couple hours. Preheat oven to 350˚. When the ham is cooled, drain and place in a roasting pan. With a sharp knife, trim any layers of extra fat off the top and with the knife, cut a criss-cross pattern through the fat layer and just slightly into the meat. 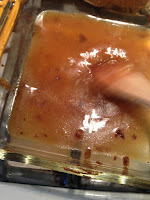 This will allow the glaze to seep into the meat. 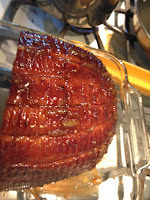 With a basting brush, cover the ham generously with the glaze (recipe following). 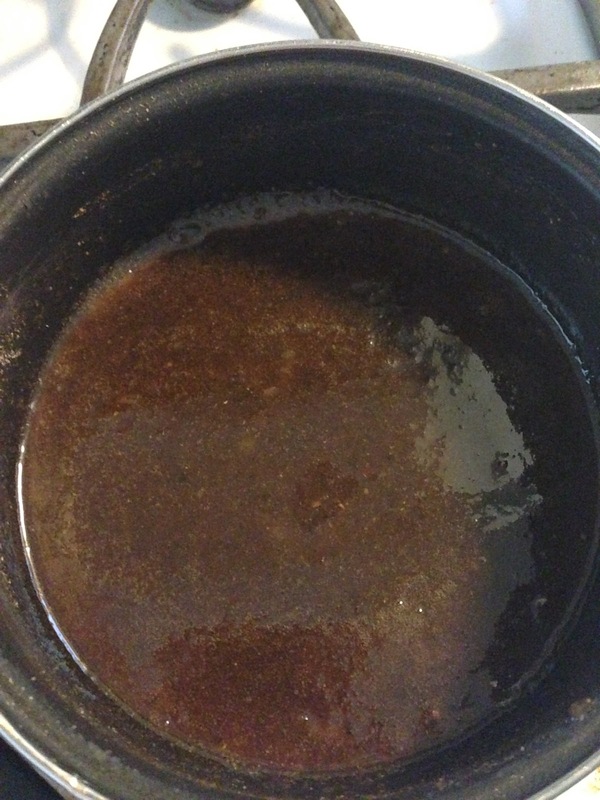 You will have extra glaze and that's fine, because halfway through cooking time I usually add a second coat. 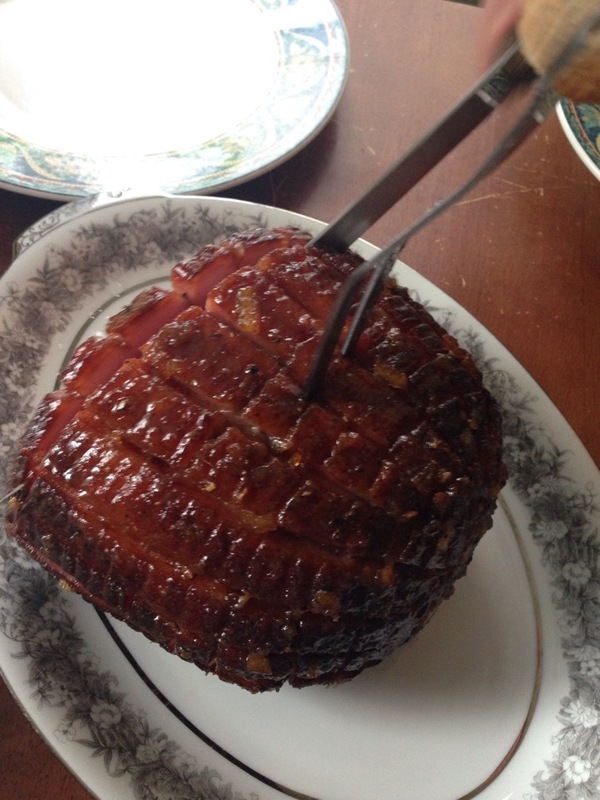 If your ham is bigger, maybe a third coat is necessary. Cooking time is usually calculated at 20 minutes per pound at 325˚. 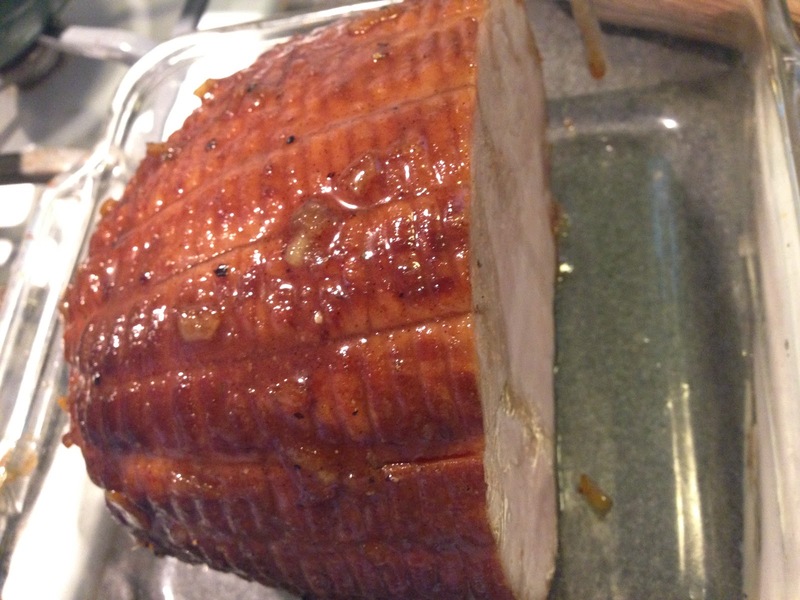 But I like to cook the first 20 minutes a little higher to get the glaze nice and brown. So for the first 20, bake at 350˚. Then lower the temp to 325˚ and cook for another 50 minutes. 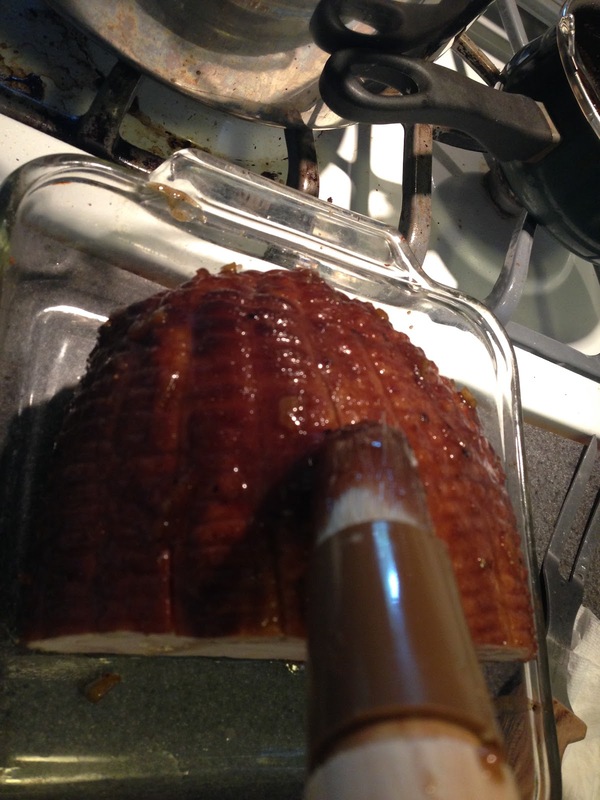 Baste with the glaze 1 or 2 more times during baking. 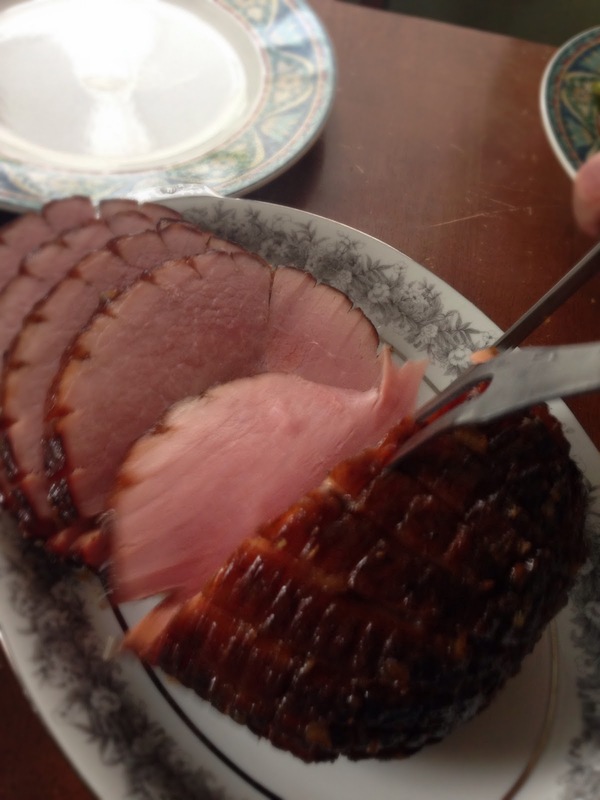 When done, place the ham on a serving dish and tent. Reserve your pan dripping to use in the peach sauce (recipe following.) Carve the ham and serve with the peach sauce and some roast sweet potatoes. I made some rocking sweet potatoes that I'll share in my next post! 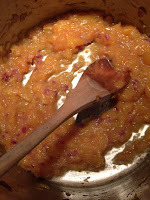 In a small sauce pan, Mix the orange marmalade with orange juice, honey and balsamic vinegar. Heat gently and stir until well combined. Once things have loosened up add the mustard, garlic, black pepper and allspice. 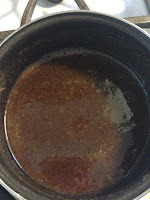 Simmer for 5 more minutes and mix well. 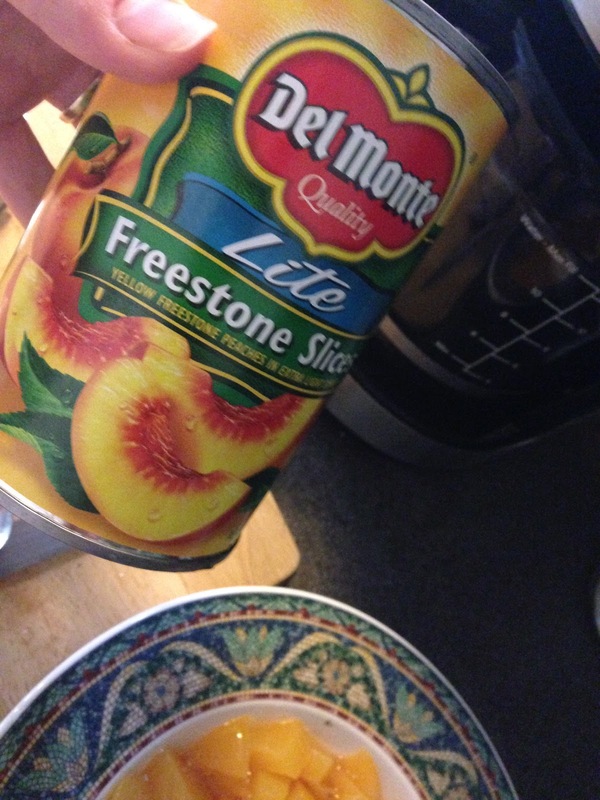 Glaze can be made ahead of time. 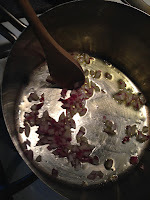 In a sauce pan, melt the butter and cook the red onion until translucent. Roughly chop the peach slices and add them to the pan. Add the cider vinegar and chopped dried apricots if using. Add the honey and dash of salt and simmer for 5 minutes. 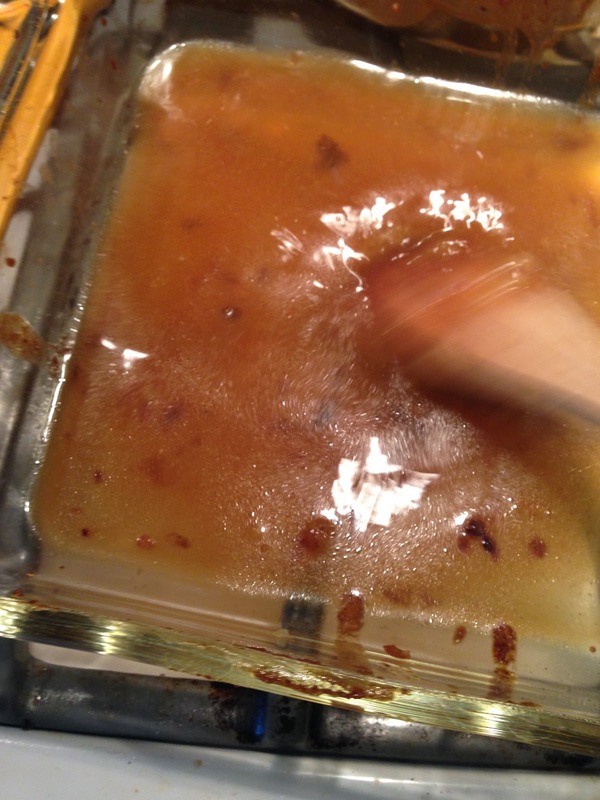 Meanwhile, pour the hot water in the roasting pan and scrape the bottom to loosen up the drippings and combine well. 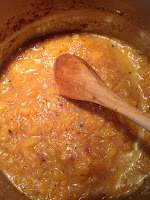 Add this dripping mixture to the pan with the chopped peaches, and simmer for 5 more minutes, marrying the flavors together. 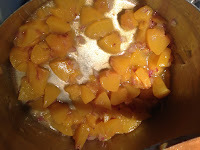 Use an immersion blender and blend the peaches until smooth. I like my sauce a little chunkier, so I did not blend that long. It's up to you how you like your sauce texture. Simmer for a few more minutes, adjust seasoning, and add the basil at the end just before serving with the ham. My sauce was thick so I did not need a thickening agent. 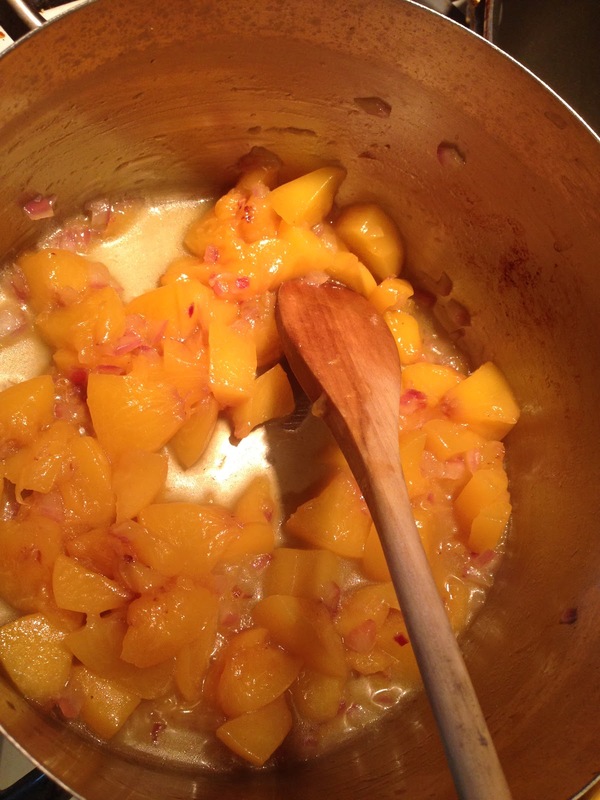 Depending on your drippings, water and peaches, you may want to thicken your sauce. 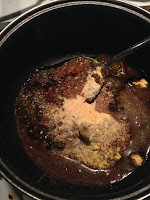 If that is the case, I recommend dissolving a teaspoon of cornstarch in a tablespoon of warm water and add it to your sauce near the end of cooking time and heat for a minute or two. That should thicken up your sauce nicely.